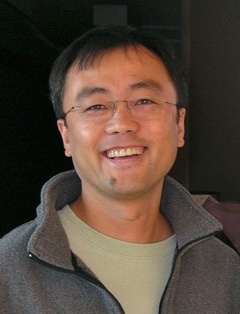 Dr. Dawei Lin received his PhD from Peking University, China in Computational and Structural Biology. He started his career at the Protein Data Bank (PDB) at Brookhaven National Laboratory, a worldwide repository for macromolecular 3D structures. He is currently the Director of the Bioinformatics Core at UC Davis Genome Center, where he is leading a team to provide expertise and infrastructure to carry out acquisition curation, and distribution of complex data sets as well as to develop and perform computations, analyses and simulations addressing a wide variety of biological questions from genomics to network biology. He is currently participating Program in Innovation and Entrepreneurship at Stanford Graduate School of Business.